Hilton has two no annual fee credit cards–one issued by American Express and one by Citi. Both have limited time increased sign up bonuses. Sign up for both now and get 152,000 Hilton points after spending $3,000 total in the next three months, enough for 37 free nights at Category 1 Hilton hotels. The Citi® Hilton HHonors™ Visa Signature® Card offers 75,000 bonus points after spending $2,000 in the first three months. The card earns at least 2x Hilton points per dollar spent, so meeting the minimum spending requirement earns 79,000 total Hilton points. The Hilton HHonors™ Credit Card from American Express offers 70,000 bonus points after spending $1,000 in the first three months. It earns at least 3x points per dollar spent, so you will have at least 73,000 Hilton points after completing its minimum spending requirements. The 79,000 from the Citi® Hilton HHonors™ Visa Signature® Card plus the 73,000 from the AMEX is 152,000 total Hilton points after spending $3,000 in the next three months. Can You Get the Cards? You can be approved for no more than one Citi card in an eight day period. If you want two Citi cards, get them on days 1 and 9. 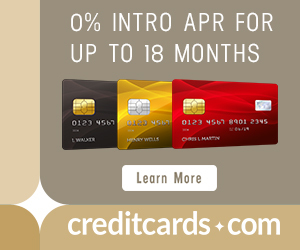 You can be approved for no more than two Citi cards in a 65 day period. If you want three Citi cards, get them on days 1, 9, and 66. Don’t forget that the Citi AA personal and business 50k offers end Monday. You may want to get them first and then get these Hilton points afterward. 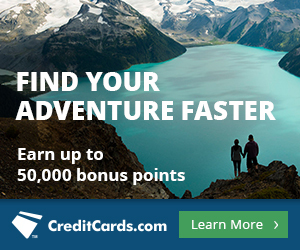 You are now limited to getting the bonus once per lifetime on AMEX personal cards. If you’ve gotten this exact card before, you can’t get it again with the bonus. Both cards give you automatic Silver status with Hilton, pretty sweet for cards with no annual fee. Hilton elites get the fifth night free on award stays, which start at 5,000 points per night. That means you can stay five nights for 20,000 points. That’s 35 nights for 140,000 points, and two more nights for your last 12,000 points for 37 total free nights in Category 1 hotels. Here are my favorite Category 1 hotels. Citi and AMEX both offer a no annual fee Hilton card with a temporarily increased sign up bonus. You can get both and get 152,000 Hilton points after meeting their combined $3,000 minimum spending requirements, enough for up to 37 free nights at Hiltons worldwide. Next articleBuy IHG Points for 0.575 Cents Today Only. Good Deal? I have used SPG (1,000,000 points+) over the last 20 years and always been satisfied. With the change to Hilton, Hyatt, etc be comparable in reward costs? First off, thank you for writing and sharing your knowledge! I just finished your beginner series and on February 9th, got approved for both Citi AA personal and business cards via your links. I would like to sign up for these bonuses as well but do I need to wait for day 66 to be approved by Citi? Wasn’t sure if the business card was considered different since I got approved for 2 citi cards within the eight day period. Thank you for your advice! 65 days from that first Citi AA application. I hope these are still around. You say that the Citi AA personal and business offers end on Monday. Do we know when these offers end? No. I would expect at least several more weeks, since they are new. Ok, still no numbers on how many nights we could REALISTICALLY get from these. You can realistically use them for 1-37 free nights. I recommend focusing on Category 1 because I think you’ll get a lot more value from 37 free nights. Thanks, a lot more useful. Only 3 category 1 hotels in the USA. Leave the USA! I mostly have. I already have the Citi Hilton card. Can I get a second one? Will I get the bonus?